The logical problem of evil (LPE), in contemporary analytic philosophy, has been taken as the attempt to show that an all-knowing, all-powerful, and all-good being cannot possibly exist with instances of evil in the world. The understood reasoning is that an all-good God would desire to eliminate all evil as far as he can; an all-powerful God could eliminate evil altogether; and an all-knowing God would know how to do so. Thus, if there is such a being as God, then there would be no evil. However, there is evil. Therefore, there is no such God. Epicurus is often taken to be the initiator of LPE (although this is possibly misattributed). He said, “Is God willing to prevent evil, but not able? Then he is not omnipotent. Is he able, but not willing? Then he is malevolent. Is he both able and willing? Then whence cometh evil? Is he neither able nor willing? Then why call him God?” This paper will refer to this as Epicurus’ Quadrilemma. First, the Quadrilemma will be explained, followed by a brief discussion of the possibilities for defeating such a Quadrilemma. Next, two solutions will be proposed. It is the contention of this paper that Epicurus’ Quadrilemma fails to defeat the idea of the Christian God. As was seemingly typical for the time, Epicurus analyzed all four logical options for God’s willingness and ability to remove evil (God’s knowledge of how to do so is not entertained, but included in discussions since, for the orthodox Christian, God is all-knowing). In order to understand the Quadrilemma, we must first admit that Epicurus was responding to perceived evil in the world. If there was no evil, then there would be no problem to discuss. Thus, four options present themselves: Either God is willing but unable to prevent evil, able but not willing, both able and willing, or neither able nor willing. One should consider each of these options in turn, as does Epicurus. If God is willing and unable, then he is not omnipotent. J. L. Mackie concurs with this assessment when he writes, “There are no limits to what an omnipotent thing can do.” This, many suppose, is the straightforward definition of what it means to be omnipotent; anything less is quasi-omnipotence, at best. Mackie admits that this option will not be an issue for those who conceive of God in non-standard ways (such as those who are willing to divest God of omnipotence), but for the majority of theists (and all orthodox Christians), such a move is not an option. The second option Epicurus considers is that God is able to do so, but unwilling. This, says he, means that God is malevolent. Mackie agrees, claiming that, “a good thing always eliminates evil as far as it can.” The third option, though concluded with a question, is just the claim that if God were to be both willing and able to eliminate evil, then there simply would not be evil. However, the initial postulate is that there is real evil in the world, and thus this entails that the conjunction of God’s being both willing and able to eliminate evil is false. Finally, if God is neither able nor willing, then he is not worthy to be called God. There are three major ways that someone can defeat a proposed dilemma (regardless of the number of options presented). First, one may show other options than those presented. So, if the Quadrilemma gives the Christian four paths to take, this would involve showing there is a fifth option. This does not seem to be available, since Epicurus exhausts the logical possibilities. Second, one can show that the consequences do not follow. So, for example, this would mean showing that if God were both willing and able to prevent evil, that evil could still be around. Finally, one can “bite the bullet” and accept that the proposed paths do show the consequences they claim, but that such consequences are not absurd or otherwise undesirable after all. This last option does not seem to be available to Christians either, since none of these conceptions of God (or of evil’s non-existence) are adequate for Christianity. Thus, if the Christian is to overcome the Quadrilemma, it is to the second way he must look. There are actually two ways to go about this kind of a solution; first, from the standpoint that God is willing but unable to prevent evil given certain other facts, and second, from the standpoint that God is both able and willing to prevent evil, but that certain other facts interfere. If either of these solutions is even possible, then the LPE fails. While Epicurus devoted equal writing time in his brief formulation of the LPE to each side, he nonetheless focuses on the idea of omnipotence. This is because the power to control was the key to providence. If this was not compatible with evil, then it showed, for Epicurus, that whether or not such a being as a God existed, he would not be provident in the affairs of men. The first possible solution is to attack the premise that, “If God is willing and unable, then he is not omnipotent.” This is because God is willing that there be no evil, but given libertarian freedom, this places only a logical limit on God’s power, and thus omnipotence is preserved. Most philosophers, atheist, theist, and otherwise, accept that God’s omnipotence does not entail the ability to do the logically impossible, inasmuch as these are not activities to be done. Therefore, if it were to turn out that, given some other fact, God would not be able to eliminate evil by logic, it would not count against his omnipotence. Alvin Plantinga suggests that there are some good states of affairs that God cannot bring about without thereby allowing for evil. He takes man’s having libertarian freedom of the will to be one of these states of affairs. He claims, “If a person is free with respect to a given action, then he is free to perform that action and free to refrain from performing it.” If this is the case, then God is both willing that evil should not be (given that he is all-good) and also willing that man should have such libertarian freedom. However, this freedom, by definition, means God cannot guarantee that free creatures will always go right; given their freedom to refrain from performing good actions (and thus also to perform evil ones). Therefore, there is a very real sense in which God is willing that evil should not exist, and unable to prevent it, given the fact of libertarian freedom. However, it may be objected, per Mackie, that God could simply have created beings who always freely choose the right. That is to say, if God is able to create such beings and willing to do so, there should not be any evil. This leads to the second possible solution to the Quadrilemma: God is both able and willing to prevent evil (since he could force man to act a certain way), but there is evil because he is also willing to allow man libertarian freedom, and this accounts for God and evil. This may sound like the same solution as before, but there are two major differences. First, this is being applied to another horn of the Quadrilemma: the one that assumes God is both willing and able to prevent evil. Second, it will introduce another facet of Plantinga’s thought. His idea of transworld depravity (TWD) is crucial to understanding the solution. TWD depends on counterfactuals of creaturely freedom (CCFs). The idea is that there are truths about what any free creature would do in any set of circumstances. Plantinga’s example is that if Curley were offered a bribe for $20,000, he either would or would not take it. Suppose that Curley would not have taken such a bribe, but that in the exact same set of circumstances, he would have accepted the bribe at $35,000. This means that such a world containing the exact same set of circumstances as the $35,000 bribe where Curley freely accepts the $20,000 bribe is not feasible for God, by simple logic. God could force Curley to do it, but he could not force Curley to do it freely. This is where Plantinga tightens the rope. After establishing this basic case, he refers to the possibility that, for all we know, every “creaturely essence” is afflicted with TWD. That is, left to themselves, human free creatures will always ultimately go wrong at least once. If this is the case, then, while God is willing that evil be prevented, and is able to do so (say, by causing or forcing man not to go wrong), given libertarian freedom and complete TWD, Mackie’s claim that it is feasible for God to instantiate free creatures who only and always do the good is possibly false. This conclusion may seem weak, but it is important to remember the LPE is purporting that the existence of God is logically impossible to square with evil, and Epicurus’ Quadrilemma is purporting to discuss all of the relevant logical facts and consequences. If these two solutions are even possible, then the Quadrilemma’s consequences are avoided. In order to understand where Epicurus went wrong, one must understand his underlying moral philosophy. A complete undertaking of that is out of the scope of this paper. However, it should suffice to note that, for Epicurus, the most important thing in life was pleasure. He had a nuanced approach that was more than basic hedonism. By focusing on the life of the mind, the end goal of Epicurus was to lead people to “a transformative experience that altered one’s daily life and led to genuine satisfaction and happiness.” But this was Epicurus’ mistake: his entire Quadrilemma and preceding philosophy presupposes that the point of man’s existence is his own happiness. One reason that the problem of evil seems so puzzling is that we tend to think that if God exists, then His goal for human life is happiness in this world. God’s role is to provide [a] comfortable environment for His human pets. But on the Christian view this is false. We are not God’s pets, and man’s end is not happiness in this world, but the knowledge of God, which will ultimately bring true and everlasting human fulfillment. Many evils occur in life which maybe [sic] utterly pointless with respect to the goal of producing human happiness in this world, but they may not be unjustified with respect to producing the knowledge of God. Thus, there is a great good to be had in creating free creatures capable of entering into love relationships with God. While there may be other versions of the problem of evil, LPE as applied by Epicurus’ Quadrilemma fails. This is because God may be willing to eliminate evil, but given his instantiation of free creatures, such a thing is not feasible, nor does it count against his omnipotence due to logical concerns. It may also be that God is able and willing (given he could force creatures never to do evil), but that given the point of free creatures existing and the possibility of TWD affecting all non-divine beings, evil nonetheless exists, as solely the fault of mankind. 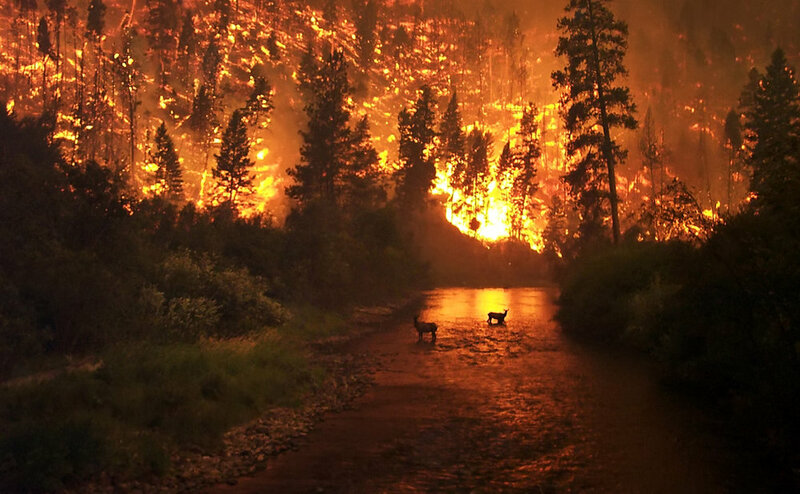 Image: John McColgan – Edited by Fir0002 - taken by John McColgan, employed as a fire behavior analyst at the Forest Service, an agency of the U.S. Department of Agriculture. Public Domain. John Hospers, An Introduction to Philosophical Analysis, 3rd ed. (New York: Routledge, 1990), 310. J. L. Mackie, “Evil and Omnipotence,” in The Problem of Evil: Selected Readings, Michael L. Peterson, ed. (Notre Dame: University of Notre Dame Press, 1992), 90. Tim O’Keefe, “Epicurus,” in The Internet Encyclopedia of Philosophy (http://www.iep.utm.edu/epicur/), accessed February 22, 2015. 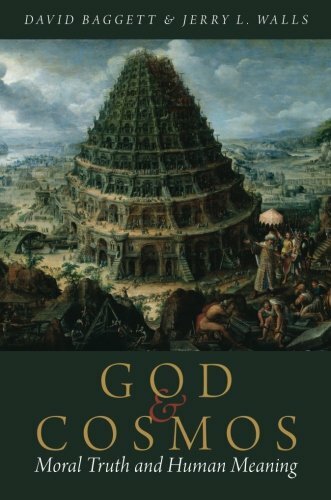 Alvin Plantinga, God, Freedom, and Evil (Grand Rapids: William B. Eerdmans, 1974), 29. Aleksandar Fatic and Dimitrios Dentsoras, “Pleasure in Epicurean and Christian Orthodox Conceptions of Happiness,” in South African Journal of Philosophy, Vol. 33, No. 4 (2014:), 524. William Lane Craig, “The Problem of Evil,” (http://www.reasonablefaith.org/the-problem-of-evil), accessed February 22, 2015. These, then, are my examples; I could have chosen others. 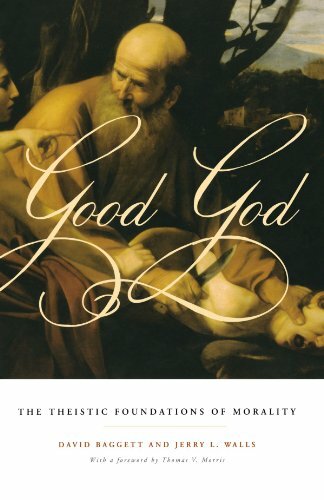 In ethics, for example: perhaps the chief theoretical concern, from the theistic perspective, is the question how are right and wrong, good and bad, duty, permission and obligation related to God and to his will and to his creative activity? This question doesn't arise, naturally enough, from a non--theistic perspective; and so, naturally enough, non-theist ethicists do not address it. But it is perhaps the most important question for a Christian ethicist to tackle. Plantinga's point is that when doing moral philosophy, Christian philosophers should not confine themselves to working within the paradigm given to them by their peers. That paradigm is not even asking the right questions in the first place. Instead, they should seek to develop a moral philosophy that arises from Christian commitments. We who are Christians and propose to be philosophers must not rest content with being philosophers who happen, incidentally, to be Christians; we must strive to be Christian philosophers. We must therefore pursue our projects with integrity, independence, and Christian boldness. Plantinga's incredible work in epistemology and the problem of evil have demonstrated that Plantinga is in no way a hypocrite; he has taken his own advice. Plantinga's work is not only distinctively Christian, it is also just excellent philosophy by anyone's lights. For example, in his work on the logical problem of evil, Plantinga has done what few philosophers have ever done: persuade almost all those who started out disagreeing with him that they were wrong. Because of his excellent Christian philosophy, Plnatinga has been a major contributor to the revival of Christian philosophy so that now Christian philosophers have a greater opportunity to follow his advice. As Christian ethicists and moral philosophers do their work, they too ought to take Plantinga's advice and perhaps they can continue to turn the philosophical world upside down. Or, perhaps it best to say that when Christian philosophers really act like Christian philosophers, they won't so much as turn the world upside down as right-side up. If you'd like, you can read all of Plantinga's "Advice to Christian Philosophers" here. Photo: "St. Paul Preaching in Athens" by Lawrence OP. CC License.